Nobody’s going to force you to feel sorry for Ken Paxton, but the Republican attorney general’s political persecutions have turned into criminal prosecutions — and they are multiplying. As his second year in office begins, the state’s top lawyer may be using more of his time and treasure on his personal legal affairs than on the state’s. 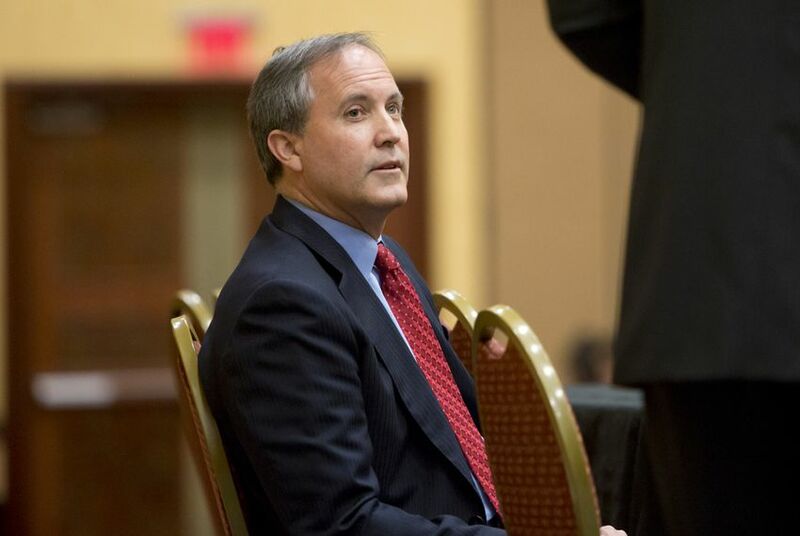 Nobody’s going to force you to feel sorry for Ken Paxton, but the Republican attorney general’s political persecutions have turned into criminal prosecutions. The investigations, inquiries and folklore that started during the 2014 primary that vaulted him into office didn’t stop when he was elected. Last year, he was indicted on securities fraud charges stemming from his work as a private attorney. His lawyers have labored unsuccessfully to get those indictments dropped, but a criminal trial could be in the attorney general’s future. Now, some of the legal officials working on that criminal matter have initiated fresh questions about a land deal which involved Paxton, Collin County District Attorney Greg Willis and eight others and that ended with a real estate deal with the Collin Central Appraisal District. The other statewide officials who took office a little more than a year ago have settled into their jobs. Gov. Greg Abbott is on his third international excursion, this time to Israel and Switzerland, and recently proposed assembling delegates from the states to work on sweeping amendments to the U.S. Constitution. Lt. Gov. Dan Patrick got through his first legislative session with remarkably few dents and scratches, and has the state’s senators toiling over a detailed list of policy questions he hopes they will address in next year’s legislative session. Comptroller Glenn Hegar is tending to state finances, and has assumed the role of chief worrier over the effect of lower oil prices on the state budget. Agriculture Commissioner Sid Miller has hit some bumps of his own making, but those have more to do with politics and policy than with anything nefarious. He reintroduced fried food to public schools, for instance, and proposed a long list of fee increases to keep his operations running. Land Commissioner George P. Bush is working deals to clean up some of the tacky tourist attractions around the Alamo and to beef up coastal protection. The state’s new attorney general, on the other hand, recused himself earlier this year from some of his agency’s work; he doesn’t want to have a fingerprint on anything that, in light of his legal troubles, might look like a conflict of interest. Worse, instead of shrinking or erasing the inquisition that has dogged him for more than a year, he faces an expansion of it. That’s the thing about investigations. They start with one question, and lead to more questions. Politics started it all. That same shuffle of offices that resulted in new leadership across the state’s executive branch began with a hard-fought set of Republican primary fights. Abbott and Bush weathered little or no opposition in the 2014 GOP primary, but Patrick, Paxton, Hegar and Miller all had tough races. Paxton’s opponents raised questions about his private legal practice and whether he violated securities fraud laws; Paxton paid a fine for failing to register as a securities investment advisor representative and went on to win the primary, a runoff and the general election. The campaign sparks caught fire, however, and burned into his home county courthouse. As he was trying to get situated at the head of a large state agency that hadn’t seen a new boss for a dozen years, he was also forced into courtrooms and lawyers’ offices as a defendant. It’s not over. Those fires are spreading.